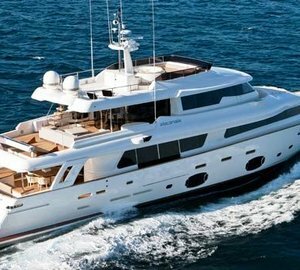 Luxury motor yacht CRESCENDO (Ex Triple Attraction) was built by the American shipyard Hatteras in 2005 and measures 30.48m (100ft). 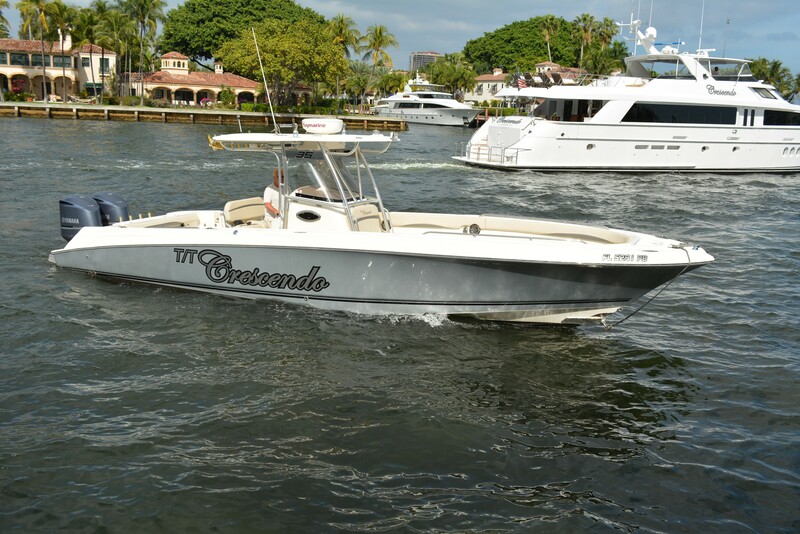 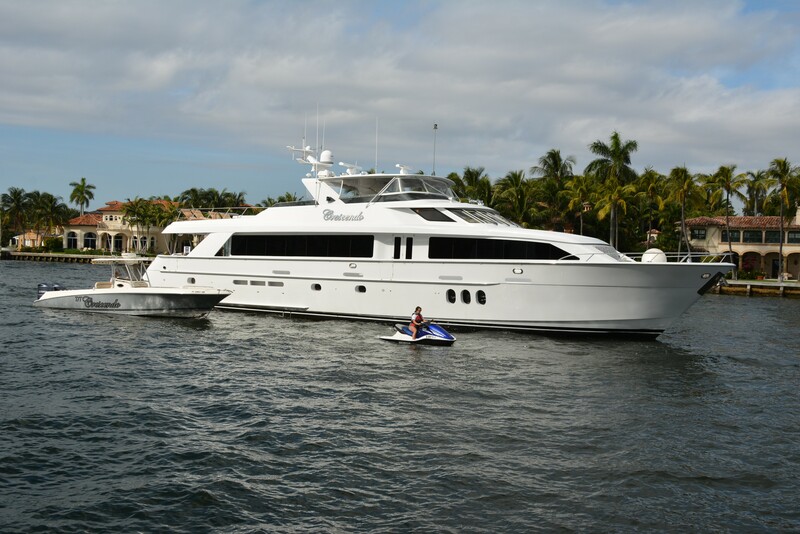 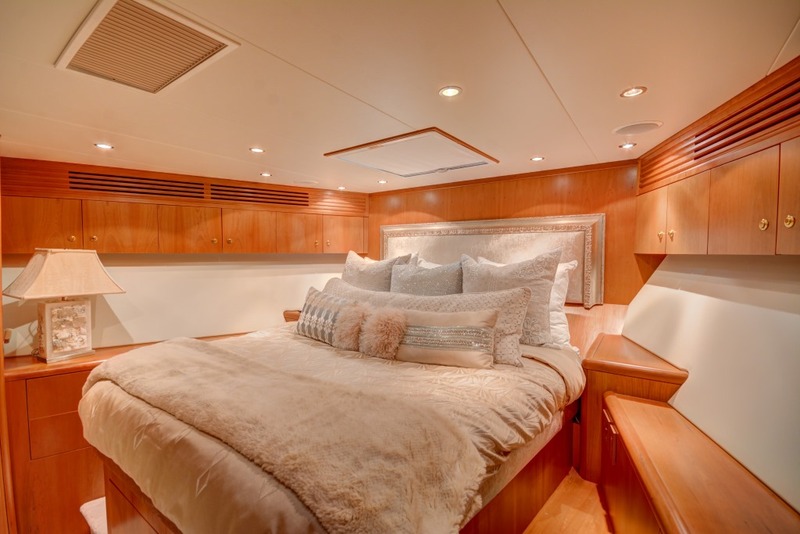 The yacht is a Hatteras 100 model, she features exterior styling by Jack Hargrave and interiors by Hatteras. 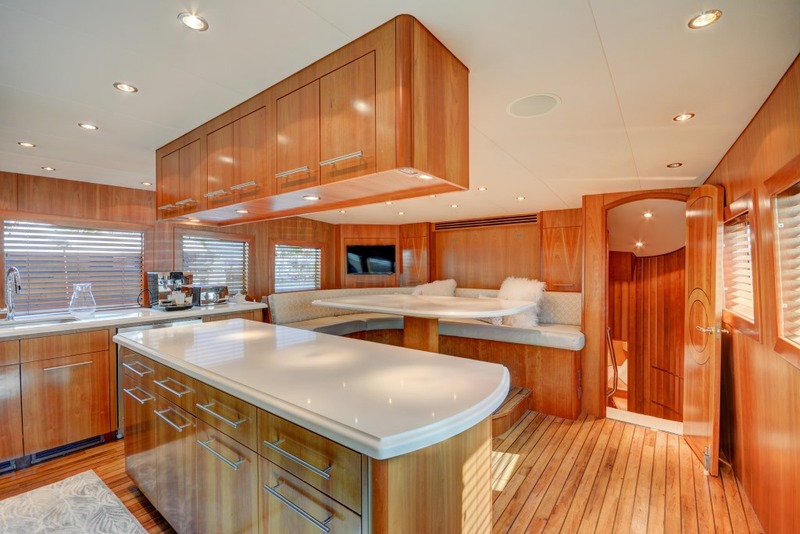 Interior living offers a warm contemporary décor, boasting custom American satin cherry wood panels, neutral soft furnishings and ample natural light throughout. 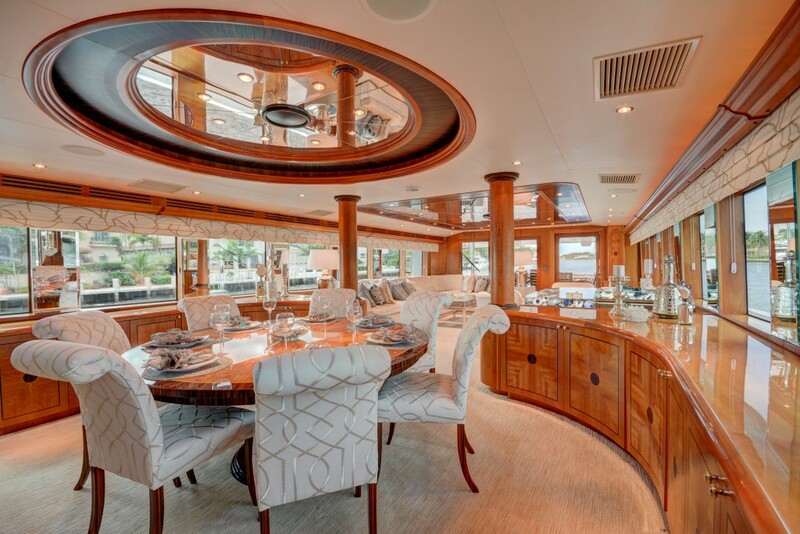 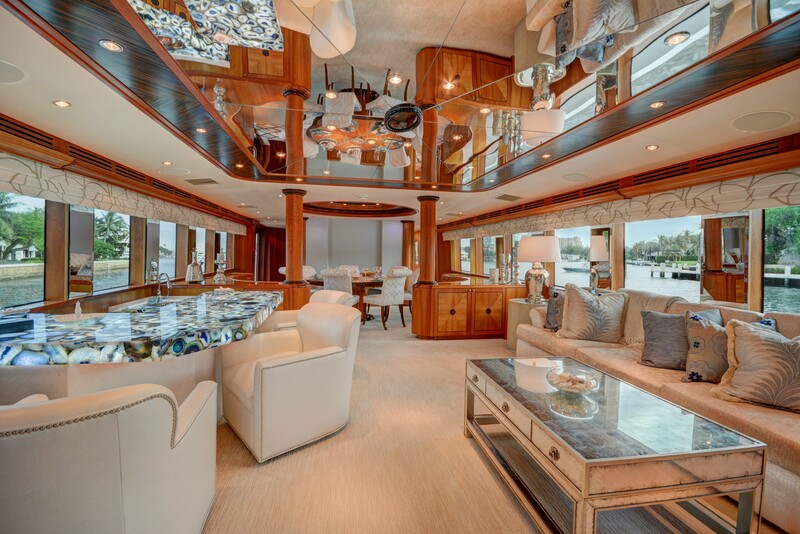 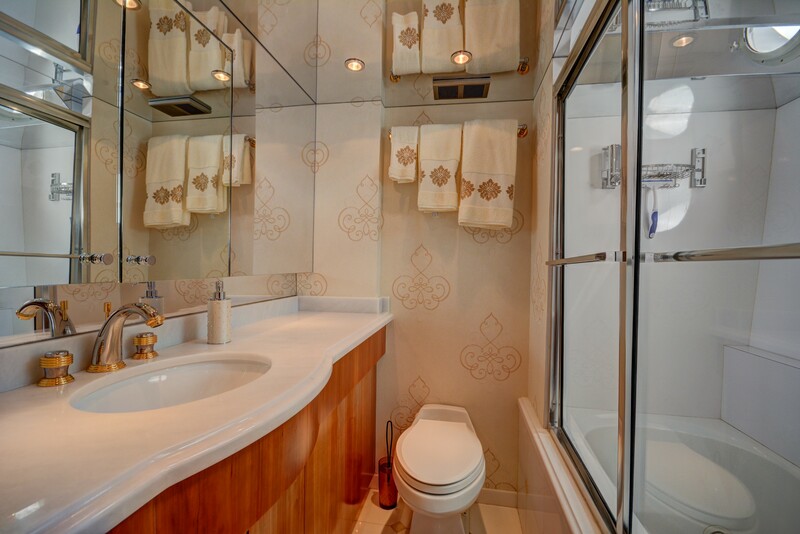 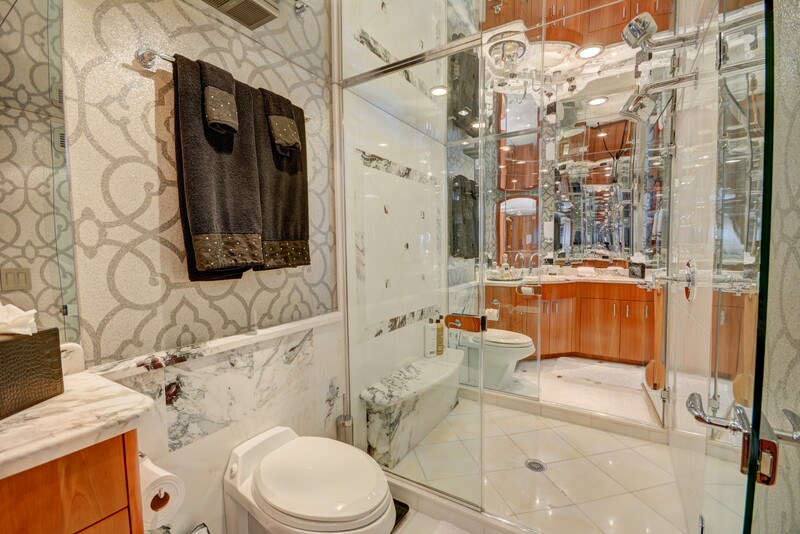 The salon is an open plan with a generous lounge and wet bar aft and formal dining forward. 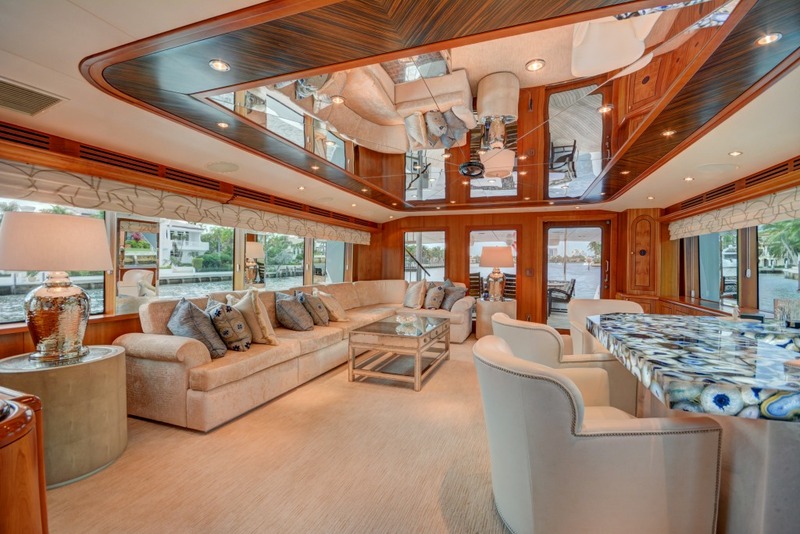 An overhead mirrored ceiling, gives an illusion of incredible space, while panoramic windows provide spectacular views. 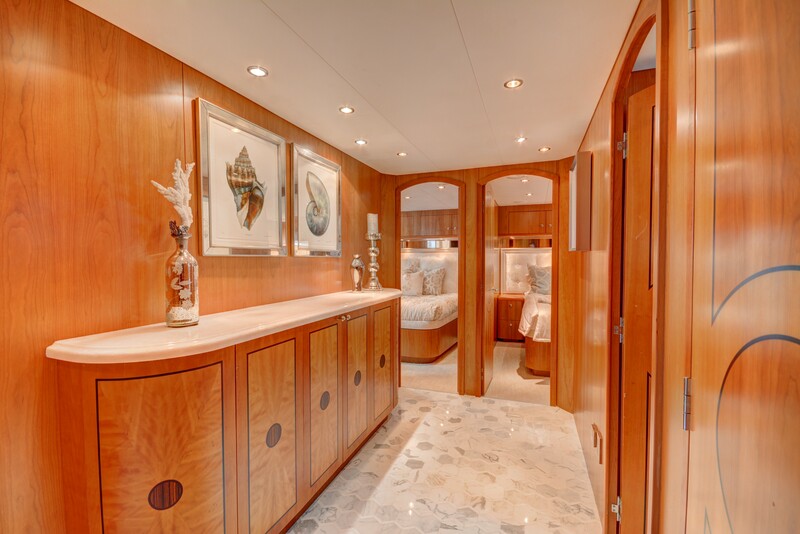 A marble foyer on the starboard side leads to the country style galley, followed by private access to the full beam, forward VIP cabin. 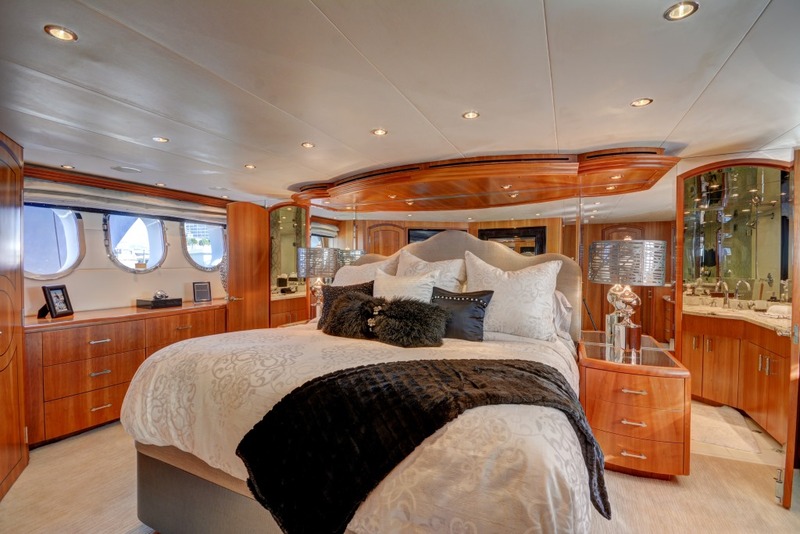 Below decks, there are a further 4 guest cabins. 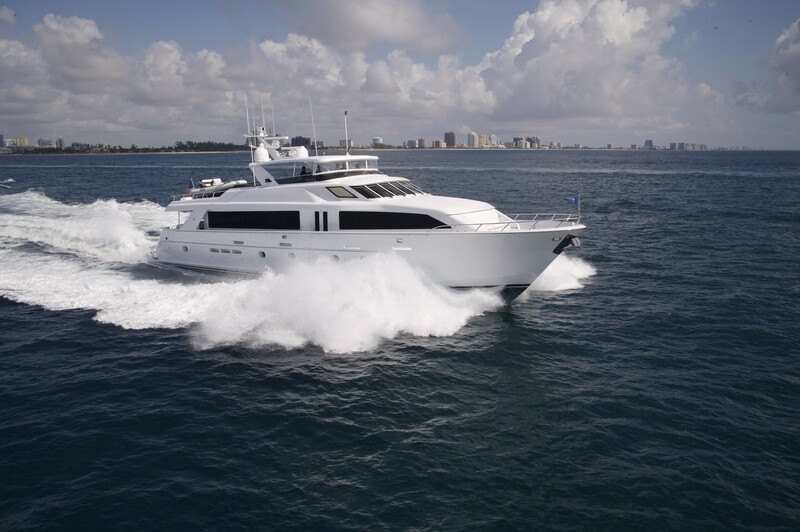 The Hatteras 100 is the perfect yacht for enjoying the outdoors, featuring 2 well-appointed decks. 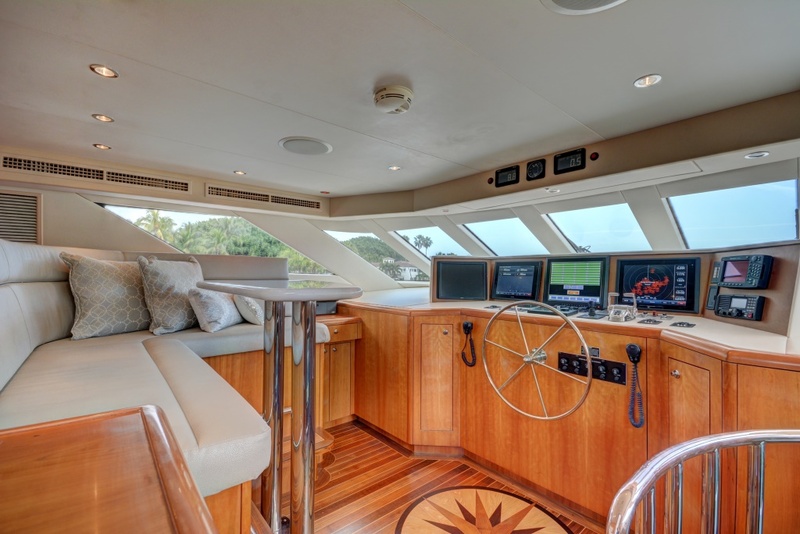 The main deck boasts a large shaded aft area, with seating and an alfresco dining option. 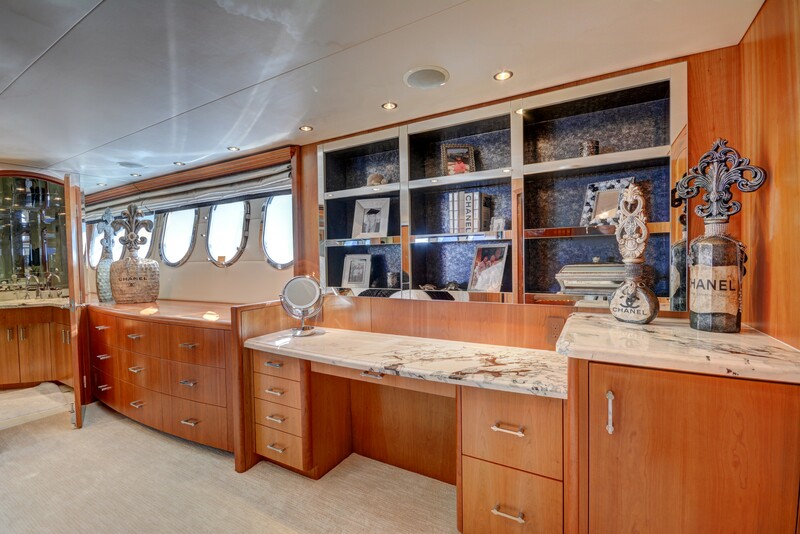 Large sliding glass doors give direct access the salon, making the space ideal for entertaining. 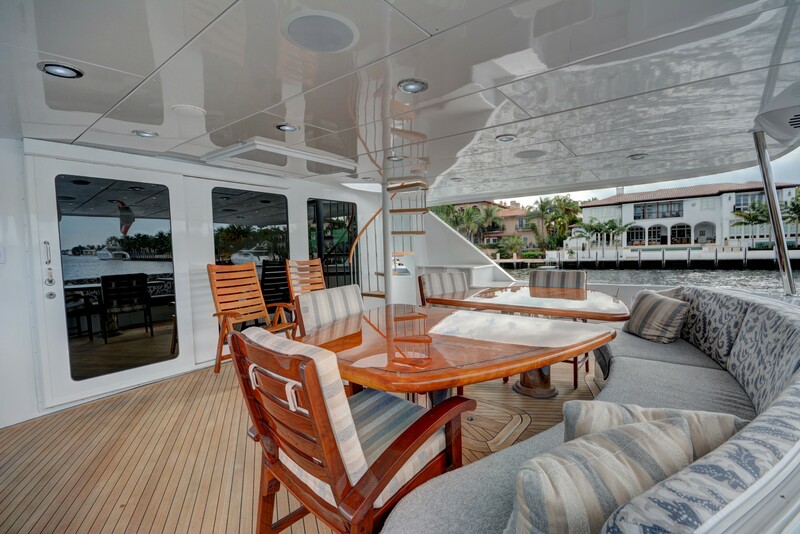 Wrap around decks lead forward, to an intimate seating area on the foredeck. 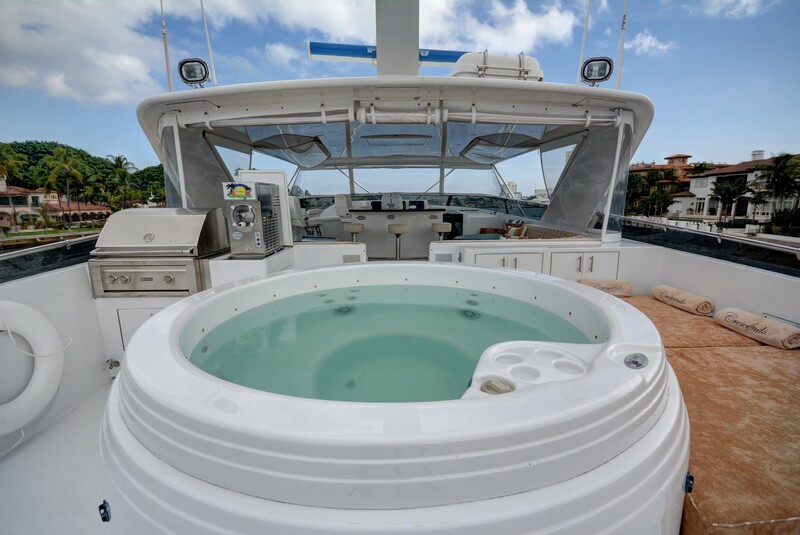 For the water enthusiasts, the extended swim platform will have guests making the most of the water toys, with optimal ease. 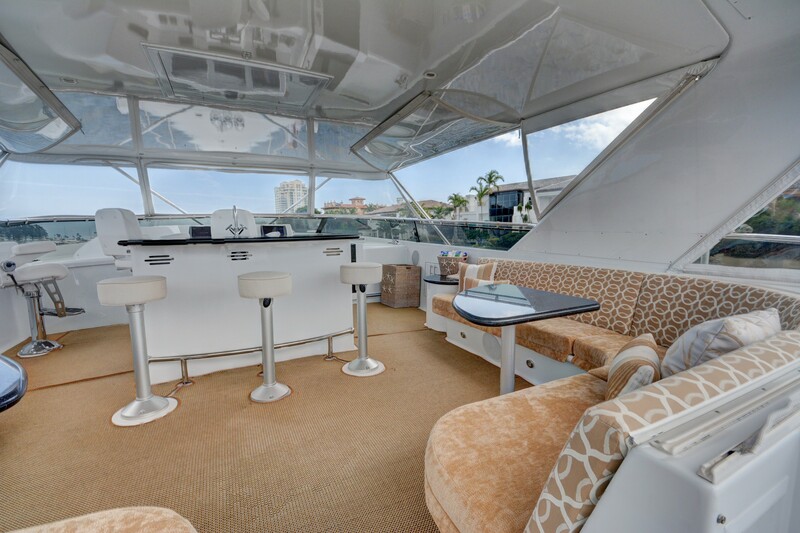 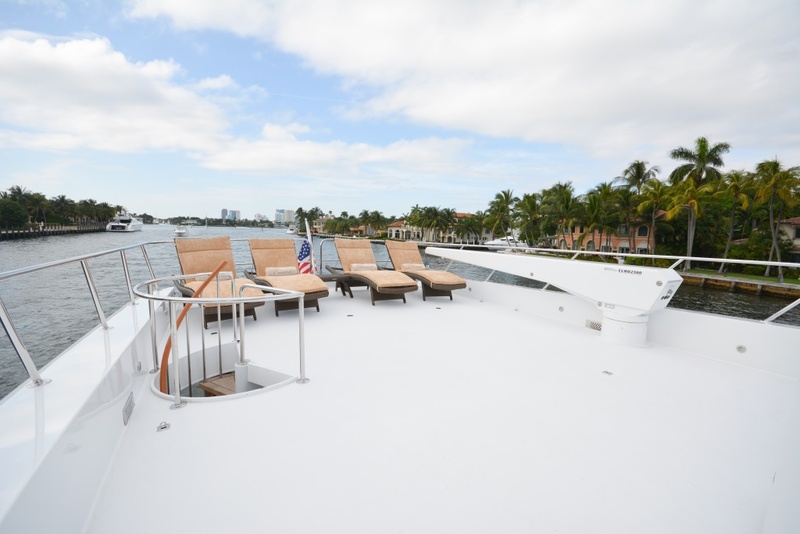 The sundeck is a fabulous additional entertaining option for any occasion, complete with seating, cocktail tables, partial shade, wet bar, sunpads, deluxe Jacuzzi and chaise lounges. 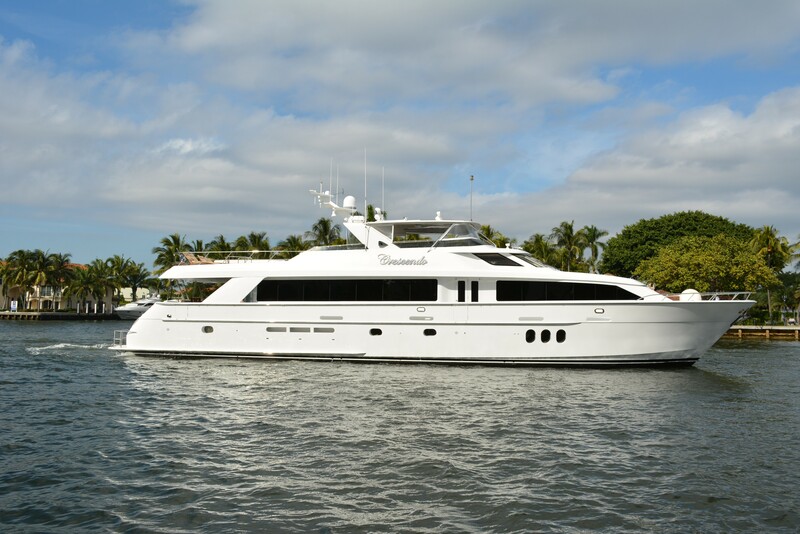 Powered by 2 x MTU engines, the yacht cruises at 20 knots, reaching top speeds of 24 knots. 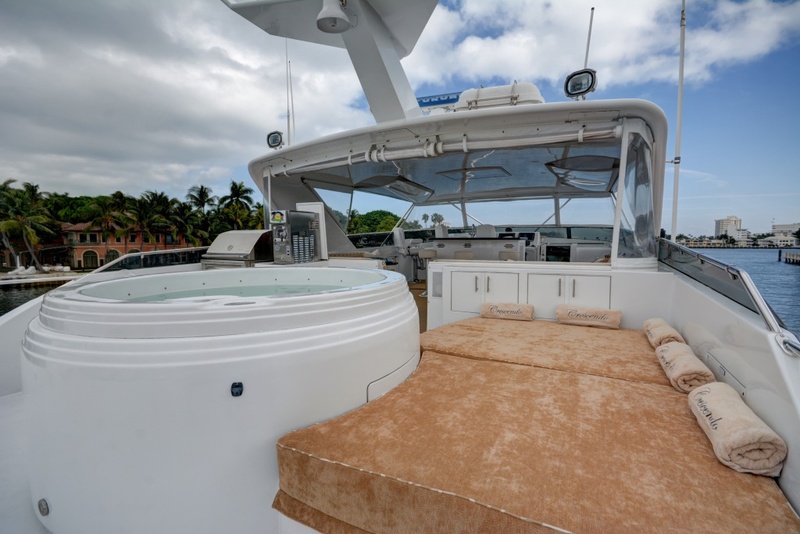 Underway stabilizers ensure a smooth and comfortable, luxury charter yacht experience. 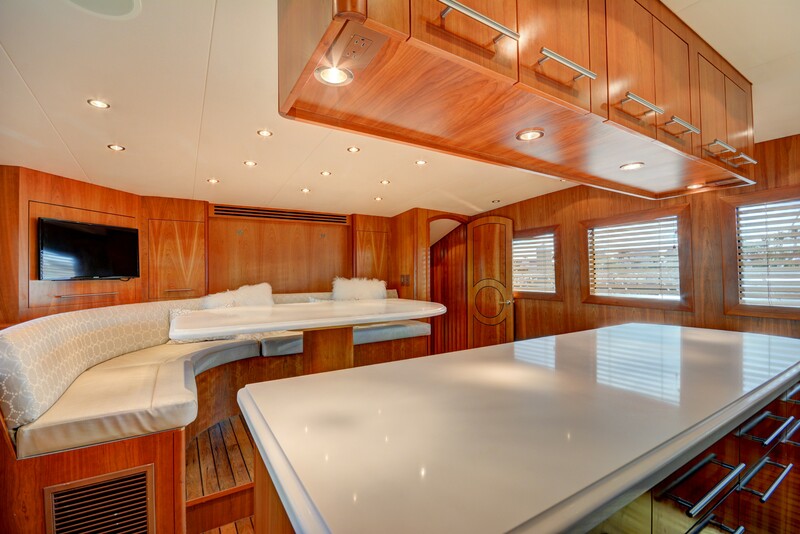 Accommodation is in 4 guest cabins for up to 8 guests. 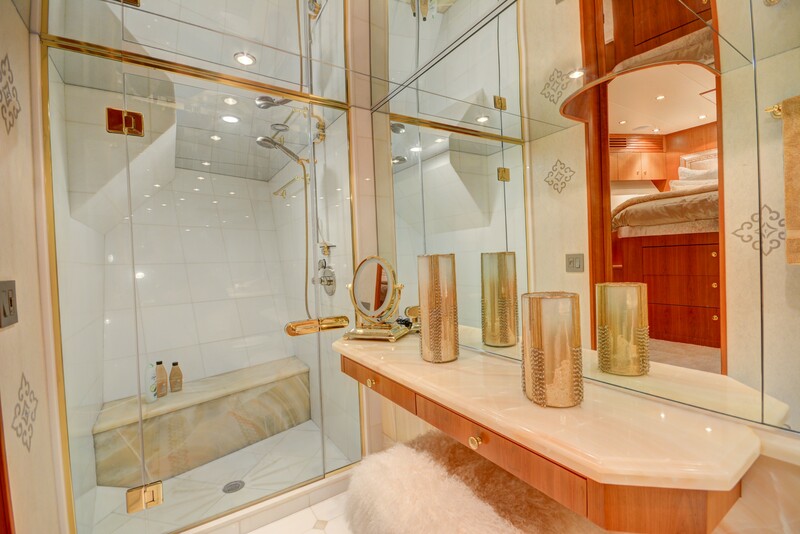 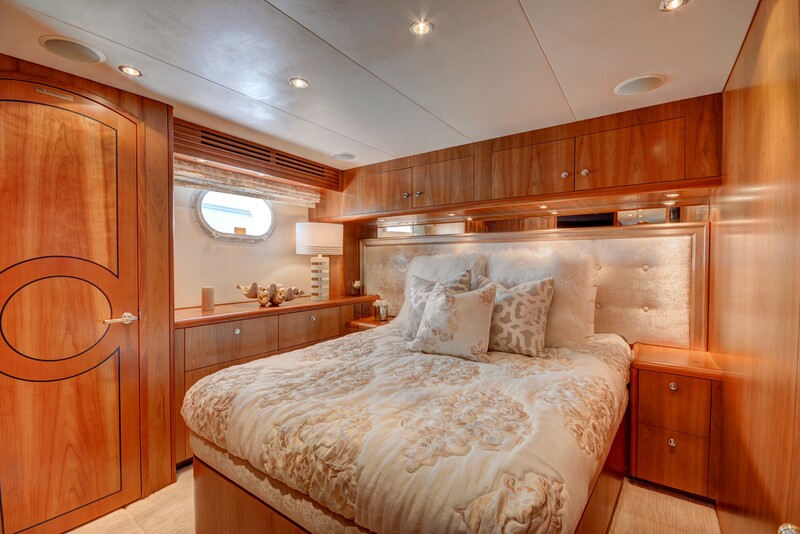 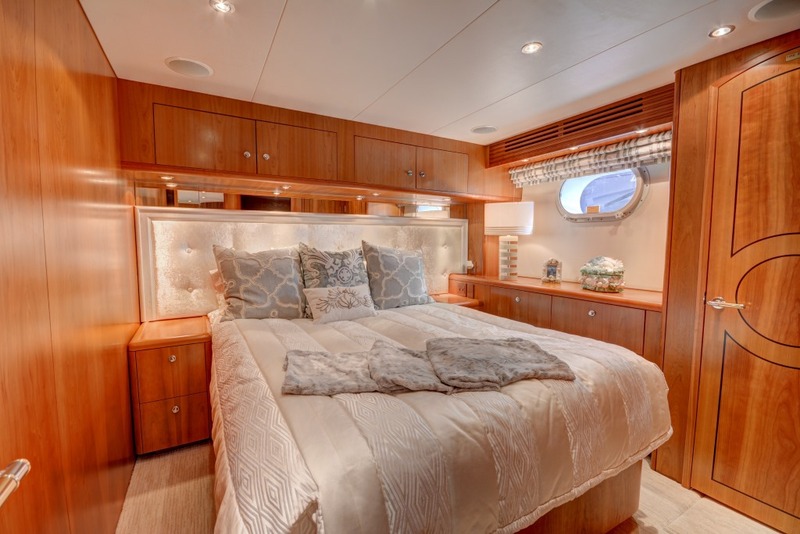 The master cabin is full beam of the yacht with a king size bed, vanity and full beam his and her ensuite. The VIP cabin is on the lower deck, with a full beam layout and forward. 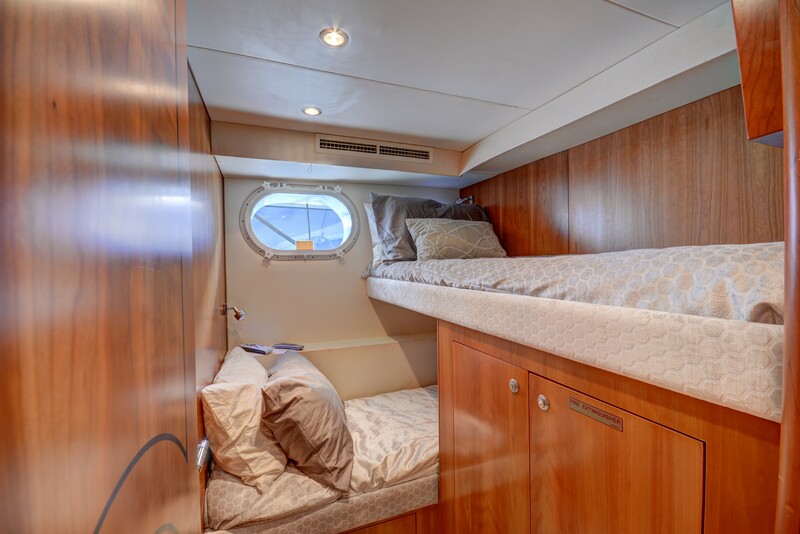 Two double cabins have a walk around queen size bed, alternatively there is a twin cabin with upper and lower bunks, ideal for children or teenagers.